Undoubtedly, North Hobart Oval is Tasmania’s spiritual home of football, but it is also a graveyard of missed opportunities and blunders – until now. Now, from the dusty pages of history, the old favourite will be returned to the limelight when it hosts its first AFLW game tomorrow and undergoes a $1 million upgrade this season. 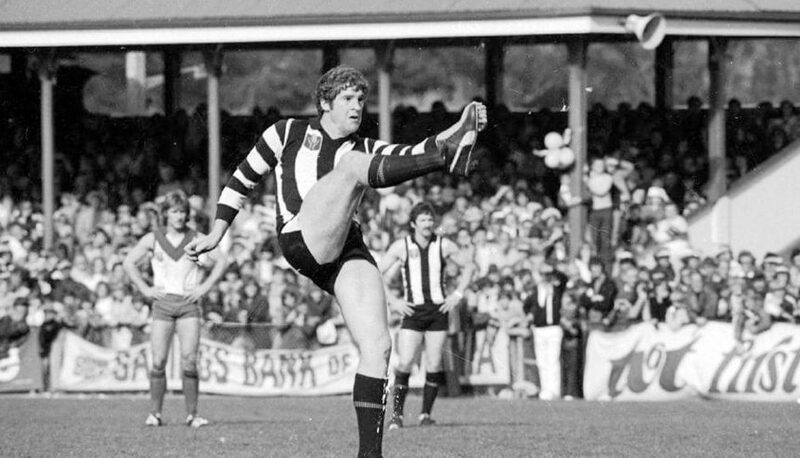 The ground, shrouded in legendary yarns, urban myths and tall tales, remains the centrepiece of one of Tasmanian sport’s great unanswered questions — why was the heart of Tasmanian sport superseded by Blundstone Arena and University of Tasmania Stadium? Shortsighted planning and pigheadedness across different levels of government and sports administrators have been played out around North Hobart at an intensity equal or surpassing the many games on it. What could have been a beautiful mixture of old and new — think Adelaide Oval or the SCG — was lost as those in charge squabbled and bickered, politicians dabbled here and there for self-interest as the sliding door moments swung like the turnstiles on grand final day in the golden days of Tasmanian football. When now the trend is to bring sporting venues back into the cities, North Hobart Oval remains a pillar of what could have been. The history of the ground is as colourful as any. It started as brickfields in the early days of Hobart’s colonial settlement until 1843, when it was then transformed into a female convict depot – a holding pen for poor women transported from England, Ireland, Scotland and Wales before they were dished out to locals to become housemaids and servants. Champion runner Betty Cuthbert at the 1960 Australian Championships at North Hobart. It was the first time the site was levelled with buildings to hold a maximum of 200 convicts, but more often squeezed in many more than that. The only remnant of that establishment is the commandant’s cottage that is now part of the Rydges Hotel. It morphed into an immigration depot before being abandoned and post 1882 the site was widely known as an eyesore where colonialists dumped rubbish or used it for grazing cattle. By 1887 the Tasmanian Cricket Association swooped, laying a concrete pitch and building a small dressing room and on March 31, 1888, came the first recorded football match between Break O’Day and Granville. It was a dispute between the TCA and the Tasmanian Football League that would see the then North Hobart Recreation Ground become league headquarters, setting the tone for constant battle between the two organisations that would see the ground eventually passed over for a new venue across the Derwent. The TFL used the TCA Ground at the Domain as its headquarters, but with the TCA squeezing football for every penny it could, football decided to pack its bags and build its own home. The decision was made to move down the hill to North Hobart Oval and on May 6, 1922, the first game on the redeveloped ground was played, with Lefroy defeating New Town in front of about 2000 fans. The Ryde Street Stand (now known as the George Miller Stand) was almost completed, with the trademark Horrie Gorringe Stand finished in time for the 1924 Australian National Football Carnival. The code is undoubtedly where the oval made its name, but it is far from the sole content provider. Lefroy Football Club at North Hobart Oval, 1930. North Hobart Oval was not just a sports ground, but a community centre for Hobartians. As well as hosting three national football carnivals (1924, 1947 and 1966), the much loved ground accommodated numerous athletic championships and school sports. Despite its grass and sometimes uneven track, two world records were set at the venue when Australia’s original “Golden Girl” Betty Cuthbert broke the old mark in the 220-yard sprint on March 7, 1960, and Ron Clarke followed suit on January 16, 1965, in the 5000m. Football of the round ball variety was hosted when an Australian XI took on Hungary’s Ferencvaros in 1957, while the local Tasmanian representative team was given a touch up two years later by Scotland’s Heart of Midlothian club, now better known as Scottish Premier League club Hearts. A temporary basketball court was installed in the goal square in front of the Gorringe Stand in 1961 to host the Harlem Globetrotters, while a ring was also constructed in 1957 as former world heavyweight boxing champion, Italy’s Primo Carnera took on pro wrestler “King Kong” in a wrestling bout.